Every gearhead has their favorite Hollywood movie car, whether it’s the Ford Mustang GT 390 Fastback driven by Steve McQueen in Bullitt, the time-traveling DeLorean DMC12 from Back to the Future, or the Pontiac Trans-Am from Smokey and the Bandit. While many original movie cars can be seen on display at museums, you very rarely get to them in action. This month, however, Petersen Automotive Museum is offering a chance to see some famous film cars invade the streets of LA. In celebration of the museum’s 25th anniversary and "honoring Los Angeles’ love affair with movies and the automobile,” several iconic Hollywood movie cars will be hitting the streets of Los Angeles on President’s Day. The automotive parade will begin at 10 am on February 18 and pass several city landmarks including The Santa Monica Pier, Rodeo Drive and the Hollywood Walk of Fame. If you want to pose for pictures with the parade cars, there will be a 20-minute stop at Abbott Kinney Boulevard in Venice. 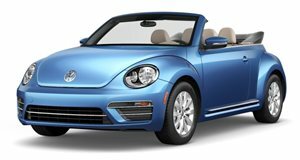 Among the Hollywood cars that will feature in the parade include a 1951 Chrysler Camera Car once owned by billionaire movie mogul Howard Hughes, the Volkswagen Type 2 Microbus from the 2006 American comedy-drama "Little Miss Sunshine;” the 1998 Volkswagen New Beetle Convertible from "Austin Powers: The Spy Who Shagged Me;” the gadget-laden Jaguar XK-R Stunt Car from the 2002 James Bond flick "Die Another Day;”, the Honda S2000 from "2 Fast 2 Furious,” and other iconic Hollywood vehicles. The parade will be led by the Chrysler Imperial Parade Phaeton that belonged to President Dwight D. Eisenhower and was used by presidents and dignitaries including the Apollo 11 astronauts after their historic return to earth.